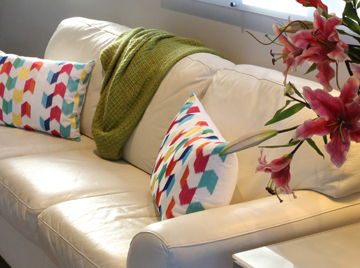 If ever there was a place to be stranded in style for a few days, it's the Sandbar Suite at Rhyll Haven. Opening onto a huge private courtyard under the sun-sails, it's perfect for indoor-outdoor living with a Weber-Q gas BBQ at the ready. Inside it's all pale blue hues where you can unwind in total privacy. The modern glass bathroom with self-heating hydro spa is pure indulgence. The Sandbar Suite features a luxurious latex bed plus air-conditioning, ceiling fans, gas log fire, well equipped kitchen, dishwasher, widescreen Smart TV with web browser, Apps, Blu-Ray disc player for your favourite movies in high definition, media hub for your personal content, pay-per-view movies and TV series, plus 100 Foxtel satellite channels. Wi-Fi is fast and free. Rhyll's other sandbar, at the entrance of the spectacular Rhyll Inlet, is just a short stroll from our front gate.